Students from all campuses are invited to enrol in Exhibiting Culture: Galleries at Work. Please be aware that the intensive component of this subject is delivered in Bendigo only. Delivered in collaboration with La Trobe University's prestigious partner galleries, this subject focuses on the curatorship, community and design aspects of the Arts. Exhibiting Culture: Galleries at Work explores the roles and diverse forms of galleries in the 21st century including blockbuster exhibitions, artist-run collectives, cultural tourism and technology. Students have the opportunity to engage with industry leaders, gallery directors, curators, artists and educators working in regional and metropolitan contexts. Exhibiting Culture: Galleries at Work includes a rare behind-the-scenes tour of Bendigo Art Gallery as well as practical workshops, field trips to artist studios and visits to a range of exhibition spaces. This is a unique opportunity for students and members of the general public to learn how galleries create meaningful cultural spaces and contribute to contemporary society. Members of the general public can book Galleries at Work through our online booking system. Exhibiting Culture A is an immersive, gallery-based subject, underpinned by La Trobe University's exclusive partnership with nationally and internationally renowned institutions. The subject is designed to deepen learning across a range of arts disciplines and creative practices, such as art history, social history, archaeology, philosophy, law, textual studies, education and politics, via the experience of a unique, curated exhibition. how successful is this exhibition as a whole? Apply a broad range of analytical, theoretical positions that relate to the exhibition and curatorial intent. Interpret and evaluate artworks in relation to a in-depth research question. Critically research a topic using relevant data sources. Communicate visually and in writing your ideas and the relevant ideas of other relating to historical, curatorial and theoretical material explored in the research and the exhibition. Evaluate your own creative arts or discipline-based practice in relationship to a critical contextualised position. Exhibiting culture B extends the engagement in and with the curatorial space, in conjunction with La Trobe University's exclusive partnerships with nationally and internationally renowned institutions as a way to transform learning. Students engage in the experience of a unique, curated exhibition that is contextualised with a range of arts disciplines and creative practices, such as art history, social history, archaeology, philosophy, law, textual studies, education and politics, allows for critical and creative responses. responding in ways that evaluate the experience, a theme, a period, an artist, a significant individual, a movement, or something else. General public who register and attend without the assessment component may apply for a certificate of participation which can be used to demonstrate continuing professional development. Members of the general public are invited to register. The cost to attend the full program is $450. Current La Trobe University students may take this as Commonwealth-supported elective subject. Participants to Bendigo will need to arrange accommodation at their own cost. The Bendigo Visitor Centre can assist with booking accommodation to suit your budget. La Trobe Residential Services offer accommodation at a discounted rate to all La Trobe students. Contact 5444 7425 or Residences-Bendigo@latrobe.edu.au for more information. By car: Bendigo is a 150 km (2 hour) drive from Melbourne along the Calder Highway. For more information, visit the City of Greater Bendigo page. By train:V/Line trains run approximately every two hours from Melbourne and daily from Swan Hill and Echuca. 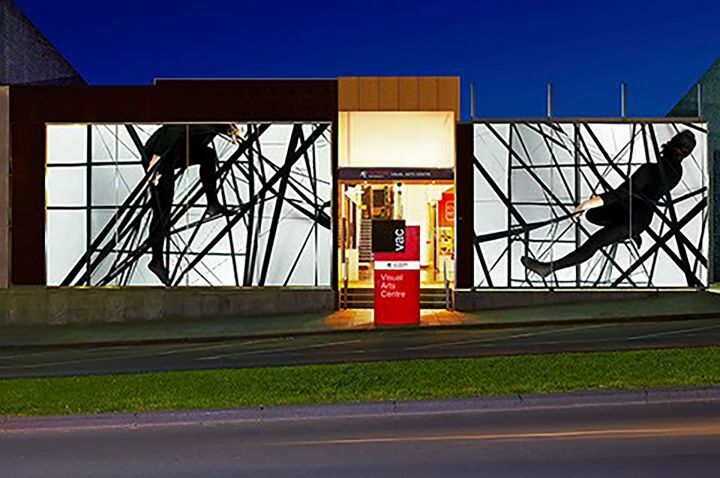 The Visual Arts Centre is approximately 15 minutes' walk from the train station. For further information visit V/Line or phone 1800 800 007. Parking: On and off-street parking is available in the Bendigo CBD. An off-street ticketed car park is available behind Bendigo Art Gallery. Entry is at the junction of View Street and Rowan Street. For more information on travelling to and around Bendigo, visit our transport central page or bendigotourism.com.